On Wednesday, October 21, Rep. Annie Kuster (D-NH) and Rep. Bruce Westerman (R-AR) convened a panel discussion on bioenergy as a kickoff event for the Congressional Biomass Caucus, focusing on the role of bioenergy in forest management. Reps. Kuster and Westerman welcomed the audience and each gave brief statements on the role that biomass plays in their districts and for the country. Speakers included Julie Tucker with U.S. Forest Service, Carol Werner with Environmental and Energy Study Institute, Bob Cleaves with Biomass Power Association, Tom Wilson with Wilson Engineering Services, and Thomas Meth with Enviva. The discussion following panel presentations revolved around the barriers to entry for biomass, and how to ensure that the benefits of biomass are being fully realized. The Congressional Biomass Caucus currently counts 17 members from both parties, including Bruce Westerman (Co-Chair, R-AR), Annie Kuster (Co-Chair, D-NH), Sanford Bishop (D-GA), Julia Brownley (D-CA), Ander Crenshaw (R-FL), John Garamendi (D-CA), Walter Jones (R-NC), Tom Marino (R-PA), Rick Nolan (D-MN), Kurt Schrader (D-OR), Elise Stefanik (R-NY), Steve Pearce (R-NM), Derek Kilmer (D-WA), Doug LaMalfa (R-CA), Reid Ribble (R-WI), Bruce Poliquin (R-ME) and Norma Torres (D-CA). During the Thermal Energy Summit in November, we will work with fly-in attendees to encourage increased membership of the caucus. 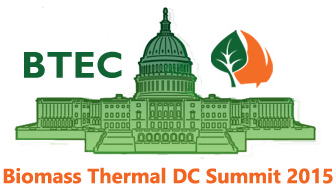 PFI invites you to join members of PFI and other organizations at the Biomass Thermal DC Summit, to be held November 18th in Washington, DC. Organized by the Biomass Thermal Energy Council (BTEC) and supported by the Pellet Fuels Institute, the summit provides opportunities to meet with Members of Congress and their staffs as well as other renewable energy-related groups regarding the substantial benefits of biomass thermal energy use: increased rural economic activity, energy independence, healthier forests, and effective tax policy. We need your support for biomass energy and encourage you to join us in Washington, DC on November 18th. PFI will schedule meetings with Members of Congress and their staff on your behalf. You simply need to let us know if you’d like to attend. We’ll follow up with you on the appropriate details and logistics. For more information or to sign up, please contact PFI staff. The U.S. Forest Service (Forest Service) requests proposals to substantially expand and accelerate wood energy and wood products markets throughout the United States to support forest management needs on National Forest System and other forest lands. Reduce hazardous fuels and improve forest health on National Forest System and other forest lands. Reduce costs of forest management on all land types. Promote economic and environmental health of communities. Please visit the U.S. Forest Service website to learn more about the grants and the application process. On the morning of Oct. 21 and into the afternoon, Koda Energy LLC in Shakopee, Minnesota, welcomed members of general public onsite to learn about the facility and its partners. Via a guided tour, attendees gained a first-hand understanding of how the plant operates and its benefits to the surrounding community. The event was part of the third annual National Bioenergy Day, which was celebrated across the U.S. and in Canada with several dozens of events hosted at biomass power plants, universities, facilities with wood chip and pellet heating systems and many other locations, with more events to continue throughout the week. 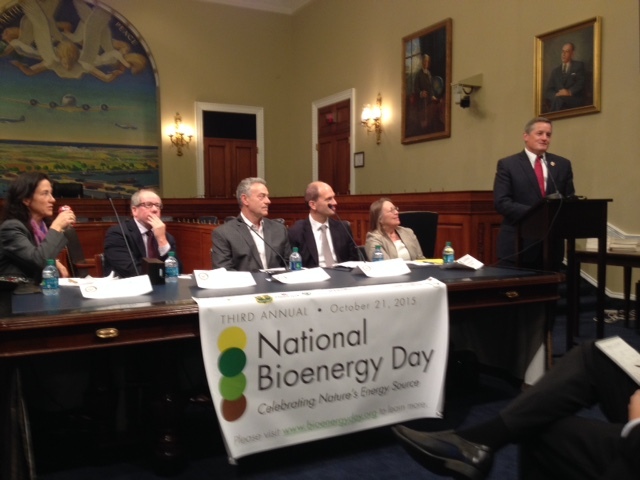 Now in its third year, National Bioenergy Day is led by Biomass Power Association in partnership with U.S. Forest Service, supported by the Pellet Fuels Institute and Biomass Thermal Energy Council. Read more at Biomass Magazine. When the town makes the switch from oil to wood pellets to heat the Town Hall building, it’ll have to keep stringent records on how the New York State Energy and Research Development Authority demonstration is working with monthly reports. The custom-made steam boiler that will allow the town to shift from oil to predominantly wood pellets to heat the Municipal Complex on Route 9 may arrive next month. Since it opened in 2003, the Vermont Army National Guard's Readiness & Regional Technology Center has been referred to as the armory of the future, housing numerous different branches of the U.S. military. The 87,000-square foot, cutting-edge training and technology center serves as headquarters to the 86th Infantry Brigade Support Battalion (Mountain), an information operations schoolhouse for both the U.S. Army and U.S. Air Force, and a premier training and simulation center for the Northeast U.S. Generating stations in both Atikokan and Thunder Bay are waving the environmental flag for being leaders in sustaining healthy forests while using its byproducts to produce renewable bioenergy. Wednesday was National Bioenergy Day across North America and Ontario Power Generation (OPG) opened the doors to its Thunder Bay plant for tours. The plant switched to biomass pellets this past January, ending the burning of coal. The coal storage area of the property was levelled and seeded with grass and rests beside mountains of biomass pellets.